Koinonia House is dedicated to assisting the serious Bible student in becoming an effective ambassador for Christ. Dr. Chuck Missler has often said that “the greatest place to grow in your Christian walk is in a small group where there is intimacy, accountability, and trust.” Chuck has also quoted the American writer Mark Twain, “The two most important events in your life is the day you were born and the day you found out why.” For Christians, the discovery of your calling should be an event that coincides with when we are Born Again. Put simply, it is expressed in Christ’s Great Commission. Equip others to take what they have learned about leading a KI Small Group so that they can host a small group of their own. KI is all about “equipping the saints for the work of the ministry”, so let’s get going. This is a traditional type of small group where you meet, enjoy some fellowship, watch the assigned LTB24H session, have a group discussion on the content, and then take the session quiz together. This will generally take around two hours per week (plus set up and clean up time). A flipped classroom leverages time away from the meetings and being increasingly incorporated in many public and private schools over the past 20 years or so. In this model, participants, at a time convenient for them, watch the next session between group meetings. This eliminates the group watching the LTB24H together and for many may be a better use of time. When the group gets together, the anticipation is that each member is ready to engage in discussion and the joint experience of taking the session quiz together. This type of home group takes about 1½ hours depending on the length of time that is spent in group discussion. This option allows the participants to accelerate the classroom experience. Unlike the weekly model described above, a Blitz anticipates the participants doing several sessions in one sitting. For example, the group may decide to meet on the first and third Saturday mornings for six months. During these twelve sessions, two sessions would be watched with discussion following each one, (Or eight days with 3 sessions at each), etc. In this model, there is no regular meeting (although the group may still meet when it likes.) The KI Academic Advisory Board recommends at least an initial “Meet & Greet” and a culminating celebration. The leader serves as a tutor or facilitator as each participant watches weekly sessions and completes weekly assignments. This decreases the time in meetings for those who have schedules that make it difficult to meet regularly. Complete the KI Bronze Medallion certification. Have a current KI membership which will be maintained throughout the duration of your KI Small Group experience. Complete the KI Small Group Leader’s course. Register yourself on the KI Small Groups home page. This will give you a KI Small Group Leader’s membership number. For more information, visit kileaders.info. Invite people from “your Jerusalem” to your small group by encouraging them to take advantage of the Special LTB24H KI Small Group’s Offer (shown below). Instruct the people you invite to create a student account on the Koinonia Institute main website. Make sure that you remind your group members to use your KI Small Group Leader’s membership number when they register so they can get the Special LTB24H Small Group discount and be linked to your online class. Lead your group of at least 3 members to completion of Dr. Chuck Missler’s Learn the Bible in 24 Hours series. This series has 12 sessions in the Old Testament and 12 sessions in the New Testament. Agree to submit regular reports of your group’s activities with the KI Small Groups Coordinator. For those interested in completing their KI Silver/Gold Medallion certification, the KI Small Group Leader will earn 2,500 K-Credits for leading a minimum of 3 people to successfully completing the entire LTB24H course (BIB101–1 and BIB101–2). Do this with 3 different groups and you will get a total of 10,000 K-Credits (which is enough to satisfy the Koinonos Track requirements for the KI Silver Medallion). 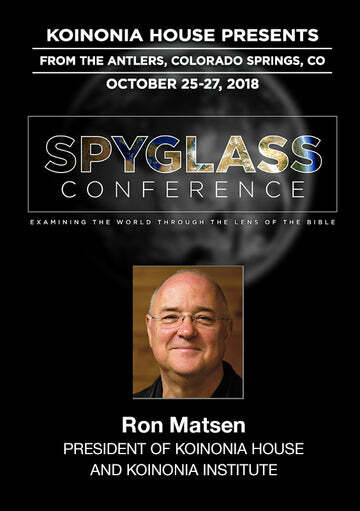 The Small Group Leader registration is free. Each individual Small Group participant registration fee is $49.95 (a savings of $105) for the entire LTB24H course. All successful Small Group participants may apply the KI academic credits obtained on this course toward earning a KI Bronze Medallion. Since launching an online small group myself in September I have seen a tremendous surge of interest in not only people expressing a desire to join the group, but also to share what they are learning with others. Becoming a Reproducer in contagious when you are around people who are active in the Kingdom of God. There is a motivation that fuels the drive to share the Good News. To me, nothing is more exciting than to see the “lights come on” in the minds of those who hear and then understand the power of the Word of God. May God bless all of your efforts to participate in His work through your life. November 2016 Personal Update News Journal.